Students’ orientation program: On 10 th December, Sunday, students’ orientation program was organized. The participants in the program were the students from KCM and NICE college. The students’ orientation program started with a session from Mr. Vineet Pawar on introduction of CIMA and some details on the CIAM professional program. 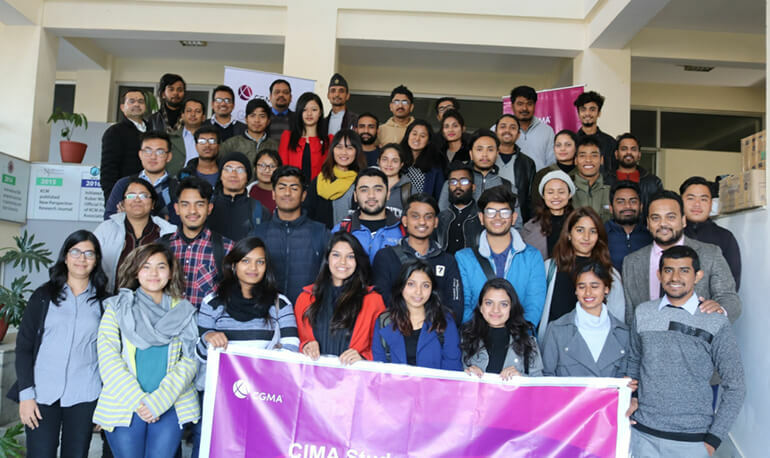 Then, Ms. Tanseem Kapasi provided an introduction to the CIMA exam structure along with the resources and relevant cost for the students planning to register for the exam. Majority of the orientation program was focused on imparting knowledge to the students on long term and short-term decision-making process as well as a brainstorming session on leadership in the context of technology business. The above mentioned interactive session was conducted by Mr. Nufail Naleem.